Funeral services for Michael William McAllister, age 68 will be held at 5:00 P.M. Thursday, January 17, 2019 at the Immaculate Conception Catholic Church. Father Stephen J. Pontzer will officiate. The family will receive friends from 4:00 P.M. until 5:00 P.M. Thursday, January 17, 2019 at the Immaculate Conception Catholic Church. Mr. McAllister was born July 17, 1950 in Columbus, Ohio. He was preceded in death by his father, James Charles McAllister, Jr., and mother, Mary Alice Hall McAllister. Michael graduated from Boyden High School in Salisbury, North Carolina in 1968. He attended Belmont Abbey College in Belmont, North Carolina, prior to moving to Dallas, Texas with his family. He attended Dallas County Community College in Dallas, Texas and then transferred to North Texas State University in Denton, Texas. His father told him to go to classes there, but not to mess with the local girls, which of course he did, and married the love of his life, Cheryl Ann Orr McAllister on April 1, 1972. He graduated from North Texas State University in 1972 with a BA in political science. He and Cheryl lived in Dallas, Texas for a year and then moved to Denton, Texas where he worked for the Denton County Municipal Power Plant as a power plant operator. The moved to Charlotte, North Carolina in 1986 where he again worked in a power plant until moving to Dublin, Georgia. In 1988 they moved to Dublin, during the expansion of what was then Southeast Paper Company. He was a power plant operator at the Southeast Paper Company until he became ill with lung cancer in 2008. He was forced to retire from Southeast Paper due to the cancer, chemotherapy, and inability to return to his previous occupation. 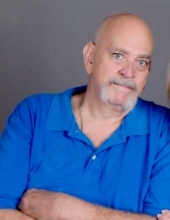 Michael was an avid reader, loved swimming in his pool and spent many hours with his fur babies, Chica and Bugsy. Mr. McAllister passed away Saturday, January 12, 2019 at Serenity Place. Mr. McAllister is survived by his wife, Cheryl McAllister; his son Christopher Michael McAllister; his grandson Aiden McAllister; his brother James Charles McAllister, III (Anita) Chapel Hill, North Carolina; his sister Ruth Anne McAllister Fitzgerald, Wilmington, North Carolina; his sister, Mary Elizabeth Ferron (Bill),Richardson, Texas; his brother Kevin Hall McAllister, Murphy, Texas; and sister Laura Lee O’Shea (Danny),Davie, Florida; Godson and nephew Timothy Shawn Fitzgerald (Kerry), Wilmington, North Carolina; sister-in-law Connie Elaine Orr Cole (Joe), Denton, Texas and numerous nieces, nephews, great nieces and nephews. The family asks that donations be made in memory of Mr. McAllister to Serenity Hospice at 504 Parker Dairy Road, Dublin, Georgia 31021 or to the Immaculate Conception Catholic Church Building Fund at 1559 Highway 441 North, Dublin, GA 31021. To send flowers or a remembrance gift to the family of Michael William McAllister, please visit our Tribute Store. "Email Address" would like to share the life celebration of Michael William McAllister. Click on the "link" to go to share a favorite memory or leave a condolence message for the family.